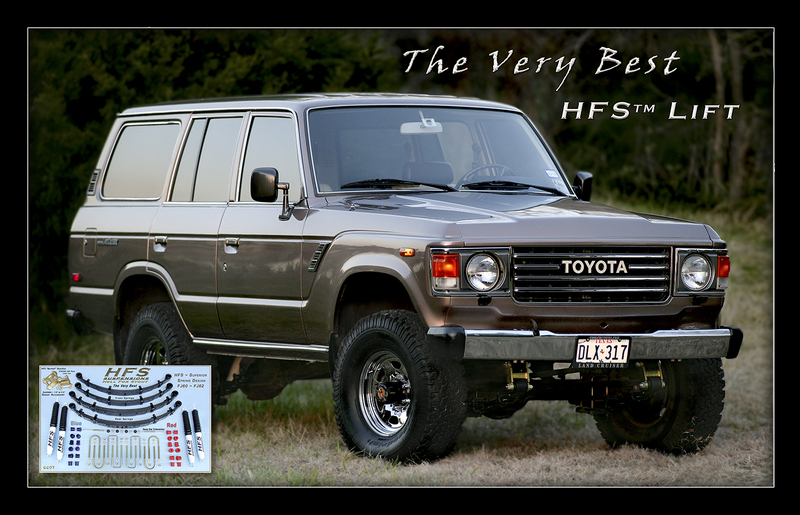 HFS springs have superior design features to perform better than any other Land Cruiser Spring. 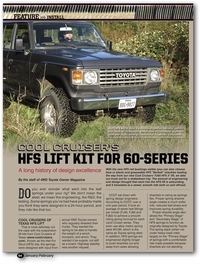 HFS Springs are designed and fitted exclusively for the Vintage Land Cruiser! 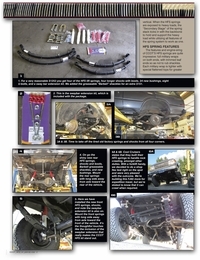 HFS Springs are engineered slightly longer to push shackles out and away from axels allowing shackles to swing as springs flex. 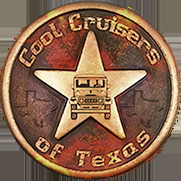 Proper spring shackle angle creates a much softer on-road ride, reduced leaf stress and improves spring durability. 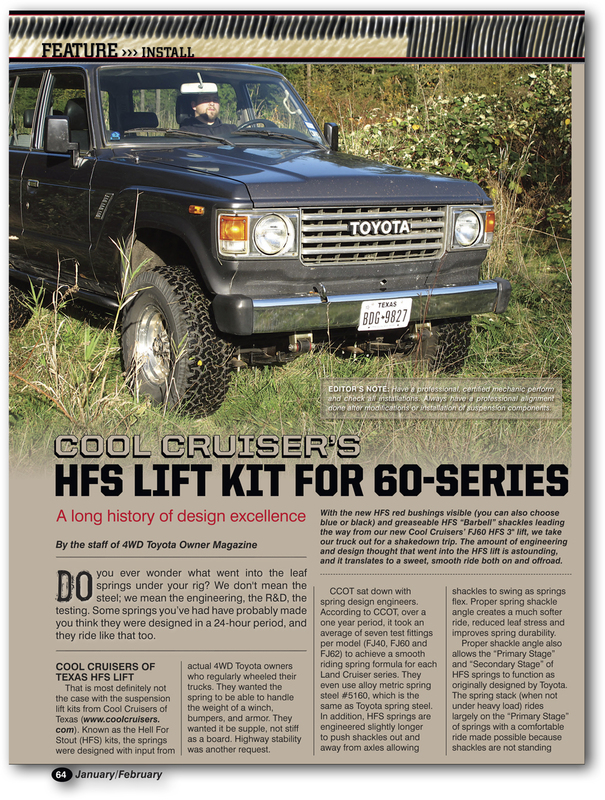 HFS springs are slightly longer than other lift springs so as to position shackles (away from axels) at the optimal shock absorbing angle while retaining lift". 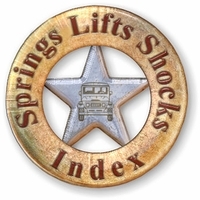 Maintaining lift while pushing shackle out demands a much heavier, beefier spring stack than other Lifts offer. 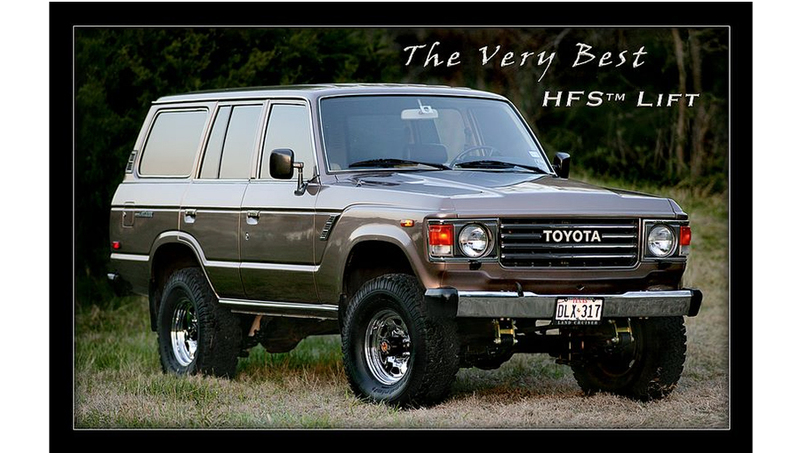 "HFS Lift" ~ The Very Best! 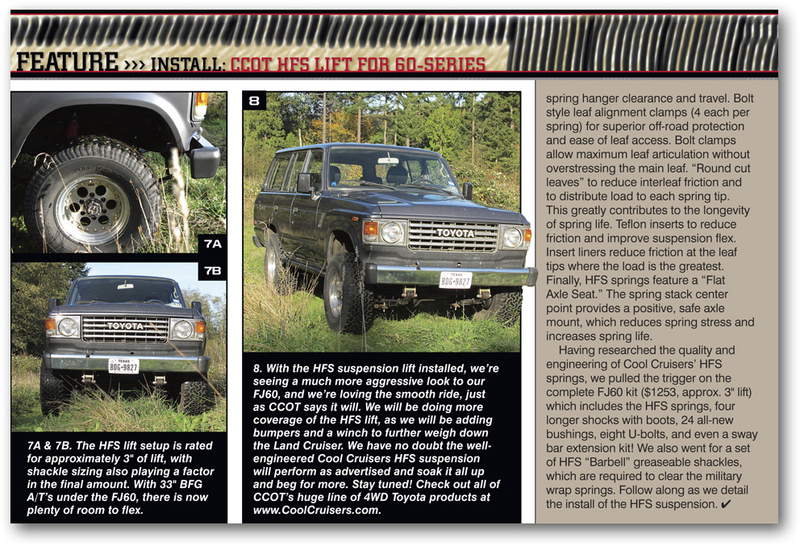 Note: Mount springs with long side away from axle. Want even more Lift? 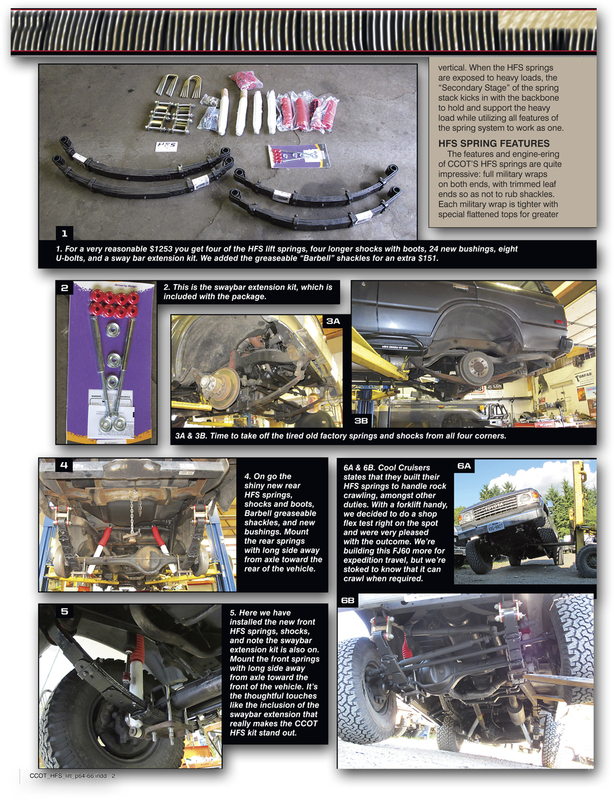 Install HFS Lift Shackles... a great looking accessory that adds more Lift ~ a great looking accessory that adds more Lift, Strength and Safety, however extended brake lines or other adjustments may be required. 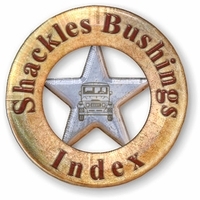 HFS Shackles come in 1.5" and 2.5" heights and are required to give clearance to the HFS spring's full military wrap... Shackles Sold Separately.